The last ASEAN country to be studied within the book is Myanmar, which is by far the most susceptible of the entire bunch to Hybrid War. Truth be told, it’s been experiencing some form or another of Hybrid War since its independence in 1948, although this mostly took the form of Unconventional Warfare prior to 1988. From that point on, Color Revolutions were reversely integrated into the destabilization model there and offered as a “solution” to the world’s longest-running civil war, earning them the automatic support of the international (Western) community and lending them false normative “justification” in the eyes of the easily misled global masses. Myanmar functions as the ideal case study for examining Hybrid War in practice, and it’s more relevant in the current geopolitical climate than ever before. 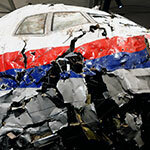 All of the pieces are in place for a violent explosion and the country is rife with asymmetrical risks to its stability. The reason that Myanmar is such a powder keg is because foreign actors have been conspiring against its unity since independence, wanting to exploit one or another peripheral ethnic group for their own particular purposes. The decades-long military government can’t avoid shouldering some of the responsibility for the country’s present woes, as it was unsuccessful in crafting an inclusive and lasting sense of nationhood, though to be fair, the challenge that it was confronted with was immense. As it stands, the Suu Kyi government intends to institutionalize the state’s internal divisions through the implementation of Identity Federalism, whereby each rebel-controlled and identity-dissimilar part of the country receives a high degree of sovereign ‘self-rule’ over its internal affairs. This could essentially fracture the country and prevent it from ever functioning as an integrated unit again, although the primary beneficiaries of this externally imposed “Balkanization” would most assuredly be foreign (Western) resource companies and their affiliated state militaries, the latter of which are eager to use the forthcoming federalized statelets as ‘lily pads’ to in their quest to ‘leapfrog’ as close to China’s border as they can. The geostrategic intent is to either control or cripple China’s transnational multipolar infrastructure projects in the country, with the China-Myanmar Energy Corridor that recently opened in January 2015 being the specific target of both types of intrigue. The US already succeeded in pressuring the Myanmar government to abandon China’s ambitious plans for a $20 billion railroad along that route, thus demonstrating the degree of control that it exercised over Naypyidaw even before their proxy Suu Kyi came to de-facto power. However, China saw the writing on the wall and unprecedentedly began courting the “opposition” leader and directly involving itself in the domestic affairs of one of its partners for the very first time. If China somehow manages to clinch a deal with Suu Kyi that preserves its influence in the country and safeguards its strategic pipeline assets there (to say nothing of possibly expanding its infrastructure investments), then it’s predicted that the US would respond by unleashing a Hybrid War against the country, preferring to see Myanmar totally destroyed than ever again functioning as a reliable multipolar springboard for Beijing. The situation inside the country is extraordinarily complicated owing to the multilayered variables that have been impacting on events for decades, but a quick review of the most relevant aspects of Myanmar’s history is the most suitable first step for better understanding the existing state of affairs. As such, the research proceeds from this point and then naturally segues into the country’s history of Color Revolution attempts, detailing how Suu Kyi was able to successfully come to power over twenty years after the US first intended for her to do so. 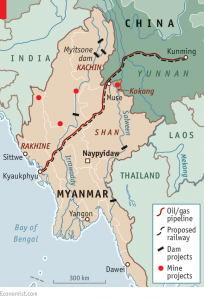 After that, the study dives into the contours of Myanmar’s civil war before highlighting the country’s pivotal geopolitical role in facilitating three separate transnational connective infrastructure projects, two of which are instrumental in deepening the influence of unipolarity over the state. Finally, the last part of the work applies all of the previously examined information in constructing the most likely Hybrid War scenarios that the US could engineer in order to maximally destabilize China’s periphery and put an end to what used to be its most promising chance to strategically alleviate its dependence on the Strait of Malacca. The country that’s currently called Myanmar used to be known as Burma, and governments that refuse to recognize the legitimacy of the ruling authorities still refer to it by its pre-1989 name. 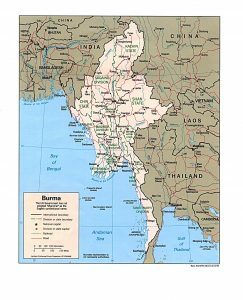 For the sake of consistency, the author will use Burma when referring to the lands of present-day Myanmar up until the name change was initiated, and thenceforth the country will be referred to by its constitutional and legal name when describing all events afterwards. Myanmar’s history is extensive and dates back thousands of years, but the scope of the present study can only accommodate for the most relevant aspects of its past. That being said, it categorizes events into four distinct time periods ranging from the country’s early history until World War II; the post-independence years of U Nu and Ne Win; the failed 1988 “8888” Color Revolution to the equally failed 2007 Saffron Revolution; and Myanmar’s current role in the Pivot to Asia and electoral transition to the Suu Kyi-led government. Burma’s historical story can be summed up as one in which the Bamar demographic majority progressively became the dominant force within their area. Being located in the Indochinese Peninsula and directly across the Bay of Bengal from India, Burma’s people underwent a strong degree of Indianization and consequently came to adapt a very pious attitude towards Buddhism. This is most vividly represented in the historical city of Bagan, the capital of the ancient Pagan Kingdom, where the rulers erected thousands of Buddhist structures. This polity ended up falling apart by 1287, after which most of the territory of Burma split into three generally separate entities: the Kingdom of Mrauk U in current-day Rakhine State; the Kingdom of Ava in what came to be known as “Upper Burma” (or upstream/central Burma); and the Hanthawaddy Kingdom of “Lower Burma” (or the Irrawaddy Delta area). The ethnic Rakhine/Arakanese-majority Mrauk U Kingdom was able to retain its sovereignty until 1784 because of the geographic protection afforded to it by the Arakan Mountains, but ethnic the Bamar Ava and Hanthawaddy Kingdoms struggled between themselves for leadership along the entire Irrawaddy River, with Ava’s former satellite of Toungoo eventually coming out on top in 1541. That was the year when both “Burmas” were unified, following which the rivalry between the Upper and Lower portions receded into history and the legendary Bayinnaung began building his regional empire. This historic figure succeeded in uniting the modern-day areas of Northeastern India (the “Seven Sisters”), Myanmar (minus Rakhine State/Mrauk U), Thailand, and Laos under his rule, although his conquests fell apart shortly after his death. In response, Burma and Siam entered into a regular period of warfare that would continue until the mid-1800s, although most of this focused on the areas of Northern Thailand and the Tenasserim Peninsula, roughly measuring out to around the modern-day border between Myanmar and Thailand. The Toungoo Dynasty was succeeded by the Konbaung Dynasty in 1752, and at its height, it achieved control over Northeastern India and Mrauk U, the latter occurring in 1785 and remaining in effect until the present day. This means that the contemporary territory of Rakhine State had remained historically separate from Burma for hundreds of years, thus fostering a unique sense of identity and pride among its inhabitants. This factor will be returned to a future point, but it’s important for the reader to not forget that the area has a deeply ingrained sense of identity separateness and historical pride, as it directly relates to the current situation of Buddhist nationalism against the so-called “Rohingya”/Bengali Muslim minority. As it turned out to be, the Konbaung Dynasty didn’t last long, since the British soon set their imperial sights on Burma and steadily colonized it through a series of three wars between 1824-1886. The First Anglo-Burmese War lasted from 1824-1826 and resulted in the UK gaining control of Northeastern India, Mrauk U, and Peninsular Burma near the Tenasserim Hills. 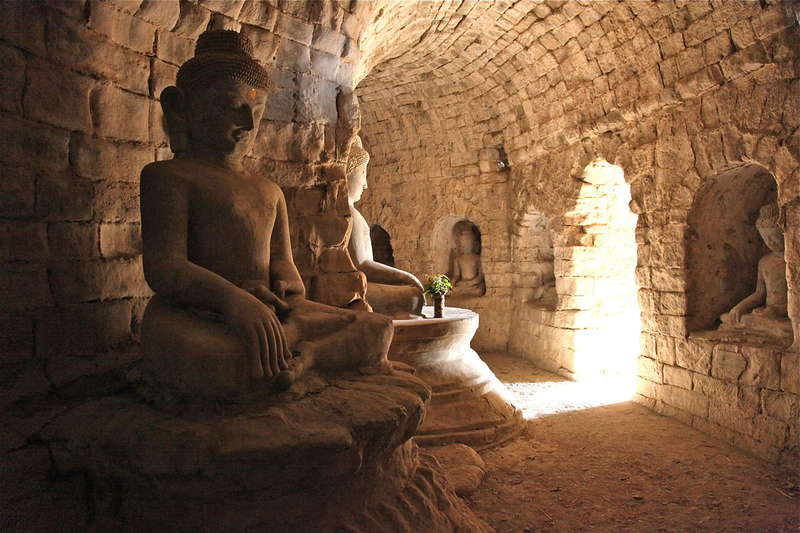 In effect, this meant that Mrauk U was only part of unified Burma for less than 40 years before it separated once more for another 60 years, further underlining the different historical development that it experienced separate from the rest of the country. After that war, the British Empire attacked the country again from 1852-1853 in order to obtain control over the former Hanthawaddy lands of Lower Burma, and finally, it completed its colonization after the Third Anglo-Burmese War from 1885-1886. Despite nominally ruling over all of the Burmese lands, the British struggled to exert their influence in the frontier areas of modern-day Shan, Kachin, and Chin states, thus marking the beginning of Myanmar’s ongoing predicament whereby the peripheral regions actively resist the central authority’s push in exercising its sovereignty there. 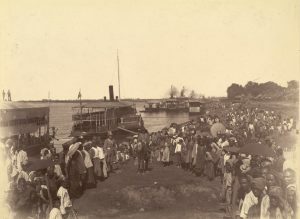 During the occupation, the British sought to mitigate this issue by recruiting frontier locals into the colonial administration and army, specifically targeting those that had earlier converted to Christianity. American missionaries had a heavy presence in the frontier areas and had been actively proselytizing there since the early 1800s. They importantly converted a large number of ethnic “Karen”, a nebulous exonym given to a variety of Thai-bordering tribes, and this group was among the most loyal to the British throughout the colonial period. 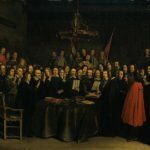 Unsurprisingly, faced with the loss of their administrative privileges after independence, this was the first of the peripheral groups to formally rebel against the government and ignite what would later grow into the world’s longest-running civil war. The relevance in pointing all of this out is that the identity separateness of Burma’s frontier groups had already posed a governing challenge to the authorities since the beginning of the occupation, but that this factor of tension was co-opted in some ways in order to leverage influence against the ethnic Bamar and mostly Buddhist central majority, all to the divide-and-rule benefit of the British. Arrival of British forces in Mandalay on 28 November 1885 at the end of the Third Anglo-Burmese War. The UK had initially administered Burma as part of India, and it wasn’t until 1937 that it granted it the status of a separate colony. Burmese nationalism and anti-colonial sentiment began growing in the early 1900s and progressively remained steady until World War II. The colony was invaded by the Japanese in early 1942, and they used a locally sourced but foreign-trained fighting force called the “Burmese Independence Army” to attack alongside them in order to ‘justify’ their aggression. Notably, this group included Aung San and the Thirty Comrades, the collective term that’s now used in referring to the Burmese who went abroad to seek pro-independence support. Most of them reached positions of influence under the Japanese regime that they later used to foster a legitimate independence movement against the fascists. Aung San, for example, was appointed War Minister in 1943 of what the Japanese proclaimed to be an “independent Burma”, but he would eventually turn on his patrons and arguably become the country’s most famous independence hero and the internationally recognized founder of the modern state. 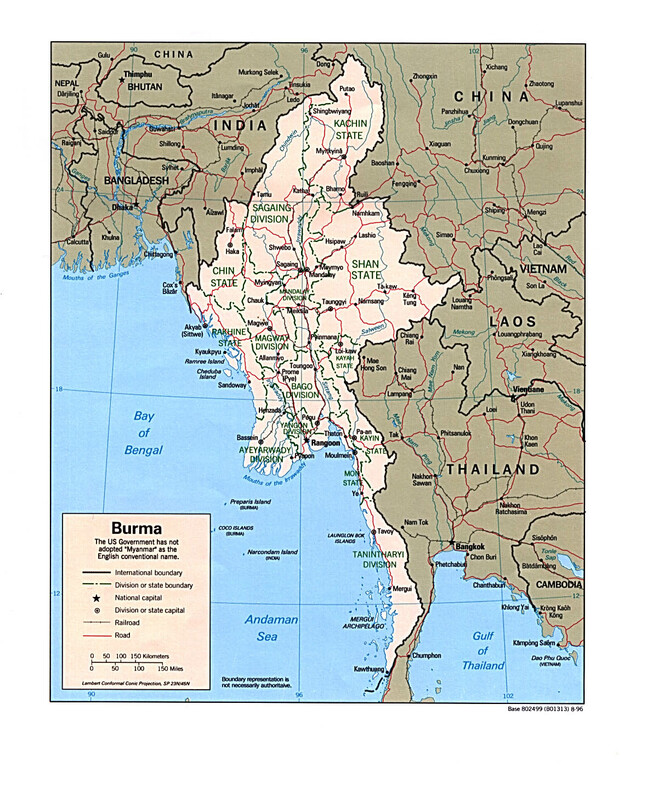 After the end of World War II, Burma was able to secure international support in convincing Thailand to abandon its annexation of eastern Shan State (the territory east of the Salween River) and restore Yangon’s nominal pre-war sovereignty over the area. Burma was basically only ruled by two men from 1948-1988, and these were U Nu and Ne Win. The former was the first Prime Minister of Burma whereas the latter had been Chief of Staff of the Armed Forces prior to his 1962 coup (having served a brief interim period as Prime Minister beforehand). The only reason that they were able to come to power is because popular independence hero Aung San was assassinated in summer 1947, just before his country formally gained its independence the year afterwards. Prior to his death, he had importantly helped negotiate the Panglong Agreement with the country’s diverse minority groups which instituted a loose federal arrangement as a compromise solution for national unity. Particularly, the frontier areas of Shan, Kachin, and Chin states were allowed to practice “full autonomy in internal administration”, but the Karen weren’t granted such legally enshrined privileges because they chose to boycott the event. 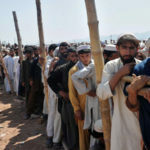 Resultantly, they began a simmering anti-government insurgency soon thereafter which evolved into a full-blown war of independence in 1949, marking the official start of the civil war that soon came to involve all of the other peripheral minorities. Despite the war that was playing out in the countryside, U Nu hoped that Burma would evolve into a stable, non-aligned state. His foreign policy didn’t pander to either of the two blocs, although he and his military were opposed to the communist rebels that were fighting in the hinterland. Nevertheless, Yangon never particularly sided with the West on the international arena and endeavored to retain an air of independence during the Cold War. Try as the government may, it wasn’t able to pacify the insurgent frontier, and the communist rebellion continued to pose a threat to the country’s stability. U Nu and Ne Win reached a backdoor political arrangement whereby the latter would temporarily rule the country from 1958-1960 in order to mollify the growing anti-government crisis within the country, which had by then begun to dangerously turn some urban dwellers against the authorities. The ruse was ultimately unsuccessful, however, and when another substantial political crisis erupted in 1962, Ne Win simply seized power for himself and carried out a coup. This power grab proved to be internationally unpopular and led to Burma’s isolation from the West. Part of the reason for this is because the then-General Secretary of the UN from 1961-1971, U Thant, was a Burmese national, so the general public was more aware of his country and its corresponding major political events, and they tended to see the coup as a negative development. Part of the reason behind this perception is because Ne Win quickly implemented what he referred to as the “Burmese War To Socialism”, which was a centrally controlled economic model that nationalized most of the country’s businesses. Considering that this occurred at one of the peaks of the Cold War, there was no way that the US and its allies could have supported it, yet despite their disdain and general condemnation, Ne Win did not use this strategic opportunity to fully ingratiate his country with the Soviet bloc. The military leader believed that Burma should pursue a stringently non-aligned foreign policy, and furthermore, it was still under threat from the Chinese-supported Communist Party of Burma (CPB). While the USSR and China had by then already begun to express hostilities towards one another, the fear in Yangon was that allying too close with Moscow might result in the CPB falling under Soviet influence instead and consequently being used as a Russian tool for geostrategically pressuring the government (e.g. to set up military bases). Burma was also weary of upsetting their larger Chinese neighbor, despite its active assistance to the CPB, so it chose not to provocatively aggravate the regional situation by interacting with the Soviet Union on the same level as it had previously. For these reasons, the USSR was kept at arm’s length, yet bilateral relations were still quite fruitful and the two states never experienced any significant problems. Burma was thus able to pragmatically depend on the Soviet Union during this time, although the level of economic engagement between the two still trailed significantly behind what Burma had earlier enjoyed with the West. 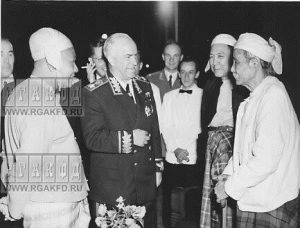 Soviet Marshall Georgiy Zhukov and Burmanese PM U Nu (left) talk to the members of parliament of Burma in Rangoon, February 1957. On the domestic front, Ne Win fended off a couple of student protests that threatened his rule early on, but his suspension of the country’s constitution (and with it, the Panglong Agreement) unwittingly exacerbated ethno-regional tensions and caused insurgent activity to explode in the periphery. This was especially evident in Shan and Kachin states, and it prompted the government to reactively increase its operations in these regions, which thereby intensified the civil war. Ne Win sought to decrease tensions after the enactment of the 1974 Constitution, which symbolically allotted these regions and their Rakhine and Karen counterparts with “state” status. 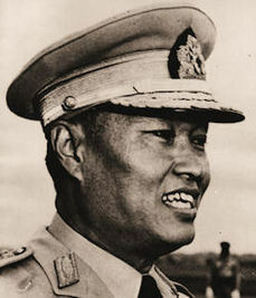 As part of his reforms, Ne Win also abolished military control over the government and moved towards administering it via the Burma Socialist Programme Party (BSPP) that he established right after his 1962 coup. Although the country was nominally civilian-led from this point up until the reestablishment of military power in 1988, it was still under the strong influence of individuals from the armed forces, with the perfect example being how General Ne Win simply assumed leadership of the BSPP in order to prolong his stewardship over Burma. Regretfully, Ne Win wasn’t able to revitalize his country’s economy, and it continued its downward spiral throughout the next 14 years. Food prices spiked and the government’s social expenditure plunged, obviously combining to produce the stereotypical conditions necessary for imminent destabilization. The state fell into debt, yet the authorities were compelled to continue pumping large amounts of money into the military in order to confront the threats emanating from the never-ending civil war. Central mismanagement enflamed the already brewing economic crisis, and short-sighted currency decisions sparked a financial meltdown. The deteriorating domestic conditions breathed life into a simmering opposition movement that finally began to make itself public via student protests in late 1987. Despite its ups and downs, this anti-government force continued into the summer of 1988 and had by August displayed the obvious characteristics of what is now known as a Color Revolution. The military was provoked into violence and the state was predictably thrown into chaos soon thereafter, which unexpectedly prompted Ne Win to resign on 8 August 1988 after what the West has supportively taken to calling the “8888 Uprising”. The country remained in chaos until the military’s State Law and Order Restoration Council (SLORC) reestablished order on 18 September, but the brief interim period provided an opportunity for Color Revolution proxy Aung San Suu Kyi to become a global icon. 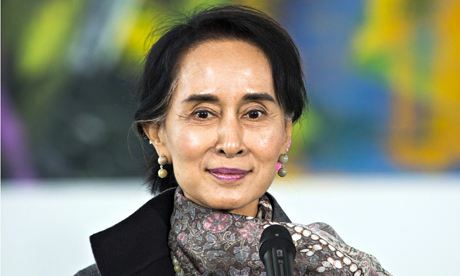 She’s the daughter of the assassinated pre-independence leader Aung San and lived most of her life abroad, having resided in the UK prior to her return to Burma. 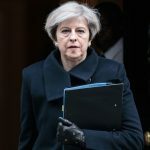 She was in the country at this politically opportune time in order to care for her elderly mother, and just so happened (if one is to believe the Western mainstream media narrative) to decide to seize the moment and become an anti-government icon. She was totally unheard of beforehand but quickly and aptly capitalized off of her father’s namesake in order to tap into the patriotic historical memory that most Burmese have retained when reminiscing about the run-up to their country’s independence. With Burma now burning before their eyes because of the Color Revolution that was unleashed against it, many people felt a romanticist attraction to Suu Kyi simply because her family name made them imaginatively ponder how different their country could have been had World War II hero Aung San not been assassinated. These raw emotions, purposely summoned at a time of preplanned national collapse and manipulated fear, were easily exploited by Suu Kyi and her Color Revolution supporters as they sought to seize power over the country, but the SLORC’s surprise reestablishment of order preemptively offset their expected plans. A little over a week later on 27 September 1988, Suu Kyi responded by founding the National League for Democracy (NLD) in order to institutionally ‘legitimize’ her regime change plans and to serve as a vehicle for propelling her into the seat of power that she had earlier failed to acquire. The year afterwards, SLORC changed the country’s name from Burma to Myanmar, and then went through with holding elections in May 1990. The NLD had productively used the past 20 months to actively campaign for their “pro-democracy” cause, and despite Suu Kyi having been placed under house arrest since July 1989, they ended up receiving nearly 60% of the vote in this election. Sensing that an NLD-led government would be a Color Revolution success for the US alongside its forerunners in Eastern Europe, the military retained control of the country and did not recognize the results, pledging instead to maintain national unity until the domestic conditions were suitable for a political transfer. In the meantime, they continued Suu Kyi’s house arrest for most of the time between then and her ultimate release in 2010, but instead of being seen as the necessary step in safeguarding national security that it was, it was widely interpreted by the American-influenced global media as “political oppression” and inadvertently transformed her into a worldwide icon for “democracy”. 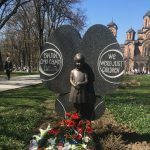 The politically influenced decision to award the Nobel Peace Prize to her in 1991 ensured that she’d become a household name all across the globe and that the ensuing years until her eventual release would be marked by a slow-motion, low-intensity Color Revolution and never-ending regime change pressure on the authorities. In hindsight, it’s difficult to propose a more acceptable solution to the obvious threat that Suu Kyi posed in facilitating a foreign proxy takeover of the state, so it’s challenging to consider what other options the military authorities would have had at their disposal short of killing her, which they clearly would never have done simply because of the unquestionable reverence that all Myanmar citizens have for her bloodline (despite whatever disagreements they may have with her policies and patrons). Following the emergency restoration of military rule over the country, the state authorities speedily moved towards striking a strategic partnership with China. Their largest neighbor had long been the one which it had the most tepid relations, drawing back to the Sino-Burmese War of 1765-1769 when the country preserved its independence against the Qing Dynasty’s advances. That hadn’t really been many significant interactions after that, partly owing to Burma later having to fight against the British and subsequently falling under London’s imperial control. The famed Burma Road was used to supply anti-Japanese forces during World War II, but relations with the country’s northern neighbor quickly fizzled after the People’s Republic of China started sponsoring the Communist Party of Burma and relations remained tense until Beijing reversed its policy in the 1980s. The timing couldn’t have been more advantageous for Myanmar, since its economy had collapsed by that time and the Soviet Union was unable to provide it with any sustainable support. The newfound international isolation that it experienced after SLORC (later to be rebranded as the State Peace and Development Council, or SPDC) abruptly halted Suu Kyi’s Color Revolution pushed it into finding whatever alliances were available to provide it with arms, money, and international support, and China was more than willing to oblige with all three. From the Chinese standpoint, Myanmar has copious untapped resources that could greatly aid in developing neighboring Yunnan Province. Additionally, clinching a strategic partnership with Myanmar would stabilize its southern periphery and safeguard against any surprises (or so it was thought). China correctly identified Myanmar as being the most viable conduit for facilitating its non-Malacca access to the Indian Ocean, thereby bestowing the country with an immense strategic importance to Beijing. 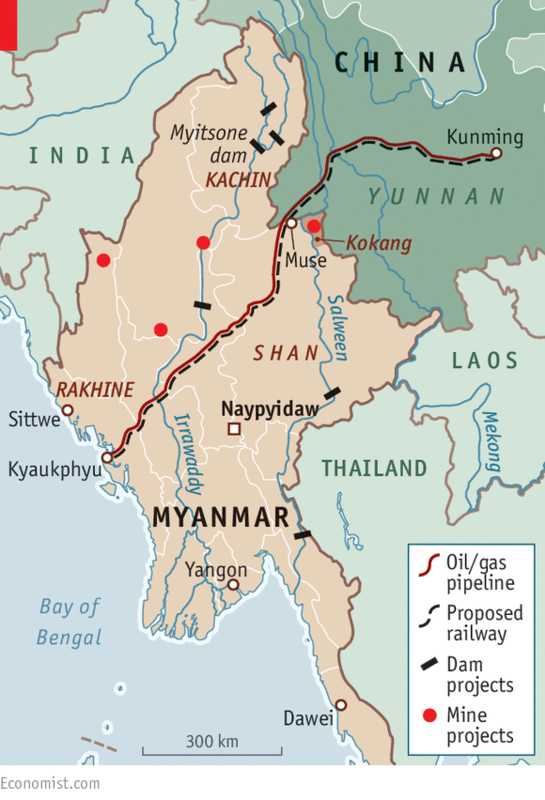 Diversifying away from its dependence on the Strait of Malacca is one of the grand strategic objectives of the Chinese leadership, and being able to access Myanmar’s physical (including hydroelectric) resources was an added benefit in this arrangement. Extrapolating further, having yet another strategic ally along India’s borders would increase Beijing’s position vis-à-vis New Delhi and complement nicely with its existing relationships with Pakistan, Bangladesh, and for a period of time, Sri Lanka. By being the first Great Power to directly ally with the Myanmar military government, China hoped to acquire a premier foothold in the country’s economy that could further embed its influence. The reasoning in Beijing was that if a relationship of complex interdependence could be established, then it would become increasingly likely that Myanmar would see its relationship with China as absolutely indispensable to its interests and therefore be less likely to drift out of Beijing’s influence. The US grew to be displeased with the fact that the Myanmar military authorities still remained in power, especially since it was largely due to Chinese full-spectrum support and Beijing was receiving major geostrategic benefits from the bilateral partnership. As it often does in such situations, the US convened an asymmetrical covert intervention aimed at toppling the government, albeit this time using Buddhist monks as the proxy of choice as opposed to student demonstrators. This was a calculated decision which demonstrated that the US intelligence services were well informed about the critical role that Buddhism plays in the country, especially in terms of the normative influence that monks have traditionally exercised over their local communities. If the US could engineer the manipulated perception that the dispensers of “normative judgement” in Myanmar society had turned against the government, then it hoped that this would spark a larger rebellion among the masses that could repeat the widespread destabilization of the “8888 Uprising” and topple the military. The immediate trigger for what came to be known as the “Saffron Revolution” was the government’s unannounced decision to remove fuel subsidies after a visit by IMF and World Bank officials in August 2007. Both of these organizations had been pressuring the government to ‘loosen up’ its control over the economy by rolling back or rescinding its subsidization policies, and as expected, the moment that it was implemented, it led to catastrophic results for the country. Fuel prices obviously spiked, and this in turn increased the prices of food and other goods that are dependent on motorized transport in order to reach their markets. Quite quickly, then, the country found itself in the midst of another socio-economic crisis that was easily ‘nudged’ by the US into becoming a political one. Buddhist monks arose as the chief anti-government vanguard, with the more radical elements within them leading the seditious charge in agitating the rest of the masses into a full-blown riot. 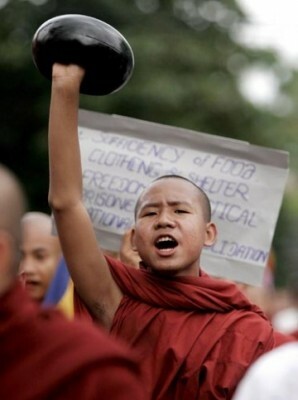 Provocateur-monks functioned very similarly to and in close coordination with their provocateur-protester counterparts, as both groups endeavored to mislead more people within their ranks into joining the growing movement. 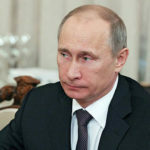 Due to the heavy information warfare component that was utilized during these events, it can be surmised that many of the participants may not have been fully aware of the treasonous role that they were playing in joining the protests, having no idea about the violent regime change ambitions that the provocateur elements had in mind to pursue. On an informational level, the simultaneous organizing of separate but coordinated religious and secular “protest” elements was useful in bestowing the organizers with a multitude of angles from which to cover the events, and it also invented the perception that the monks were leading people into the streets to follow them due to their religious influence over society (conveniently forgetting the existence of independently organized secular regime change actors). Most importantly, however, these two compatible Color Revolution forces acquired a critical mass of power and influence when they finally combined in the streets of Yangon, representing a tactical regime change innovation whereby separate autonomously organized anti-government blocs unify on command into a united front. This tactic would later be repeated and perfected during EuroMaidan seven years later. This series of hybrid wars and the recent article is a good research work. Oriental Review has been serving humanity through its literary and intellectual contribution without any compensation. 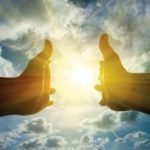 I read this article and found it useful and interesting.